We had falafel for breakfast this morning. Not quite a typical breakfast, but that’s ok. I don’t really care which meal we eat at which time of day and I don’t think Chris does either. 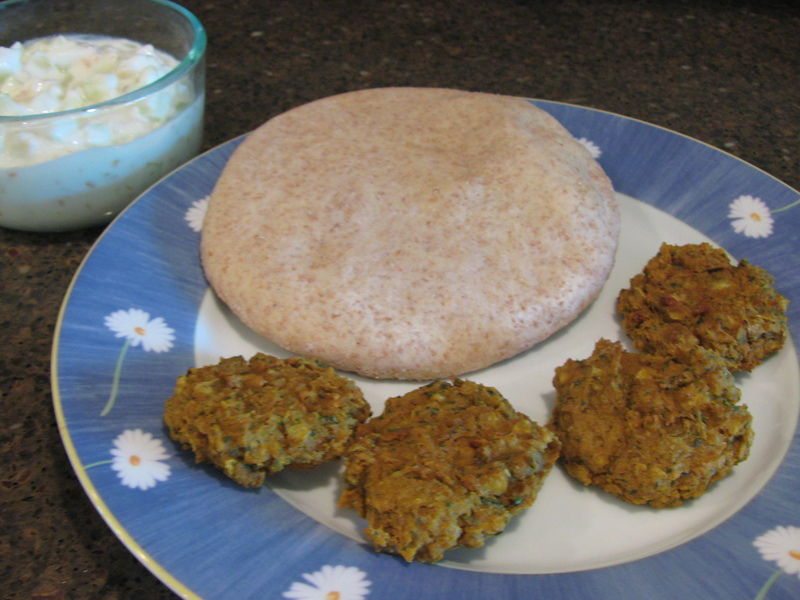 I have always liked falafel, but I had never made it before because I did not like that it is usually fried. A few days ago it occurred to me that baked falafel might be an option. Cut the baked potato into several large chunks. Combine all ingredients in food processor until they are mixed into a chunky paste. Form small patties on a lightly greased baking sheet. Bake for 15 minutes or until patties are firm. Serve in a pita with tzatziki sauce.